Choosing the correct fuel to run your hot water system can make a real difference, and not just in your energy bill. The fuel you use affects the size and energy efficiency of your system as well as your annual operating costs. Hot water systems can run on electricity, gas, propane, solar power, geothermal energy, and more. The actual fuel costs for your hot water system vary with the type and efficiency of your system as well as the unit cost of fuel. For example, an electric water heater with higher energy efficiency might be less expensive to run than a gas water heater with lower efficiency even if your local gas rates are lower than your electrical rates. The tank-less water heater you need to fill your needs will be a different size than the storage water heater you need to meet the same needs, and each will have a different efficiency and a different fuel cost. In the Pacific Northwest, you will mainly be considering electric, gas, or propane systems. If you have more than one type of fuel available to you, your Washington Water Heaters specialist can evaluate your needs and help you choose the best hot water system for your home. 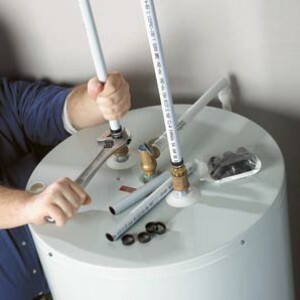 At Washington Water Heaters, we are your local Seattle electric water heater, gas water heater and storage water heater specialists, so call us to find out more about what system might be right for you, local installation of water heater systems, and service of your tankless water heater. Proudly serving the Seattle, Tacoma, Everett, Bellevue, Kent, Issaquah and Puyallup areas.